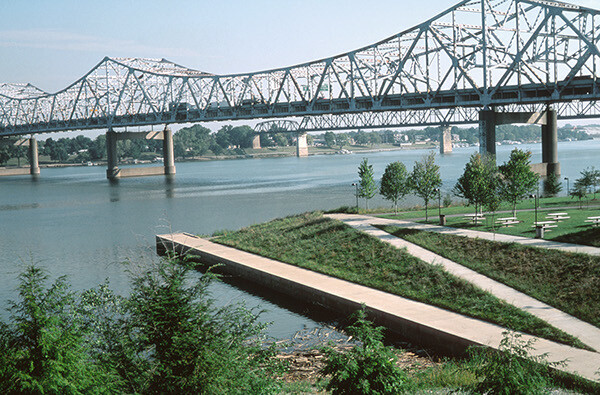 Louisville’s Waterfront Park represents a large scale reclamation of land formerly used for industrial and transportation purposes, cut off from the urban fabric by rail lines and an elevated expressway. 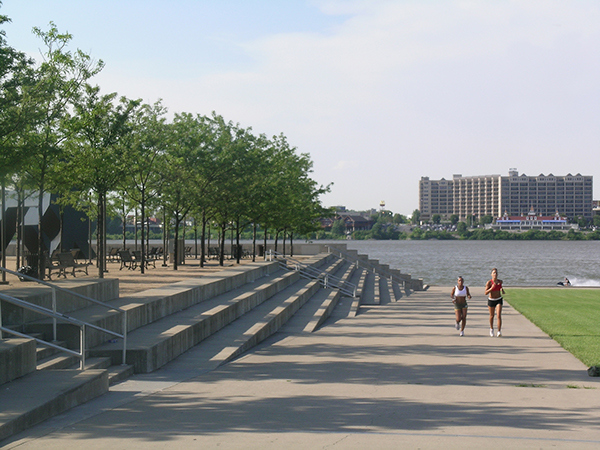 Typical of American urban waterfronts, civic life had over time turned its back on the river. 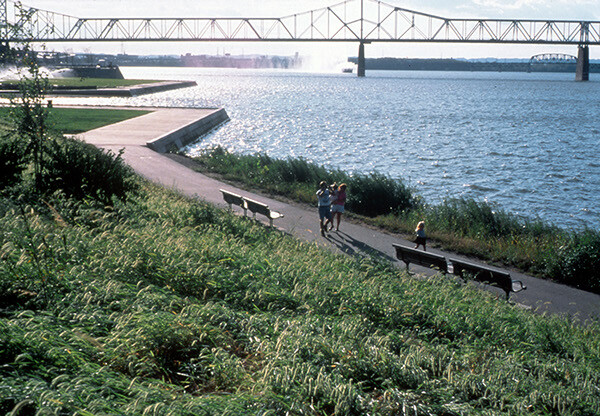 The design includes a great lawn that slopes down to the river, drawing pedestrians to the water's edge and providing views that were previously obscured. 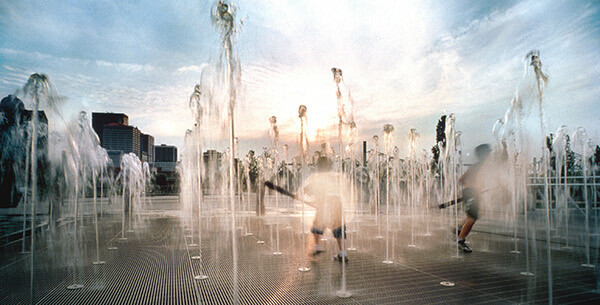 The lawn receives flood waters and is built on piles partially over the river, making it integral to the river system. 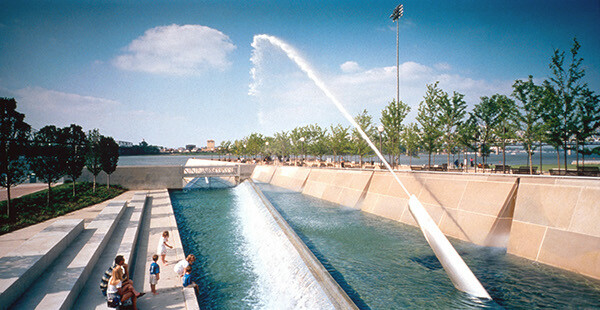 The adjacent overlook plaza remains above the flood levels creating a promontory with stepped seating to the lawn and framing arcing water jets that sequence from the arrival plaza out to the river. 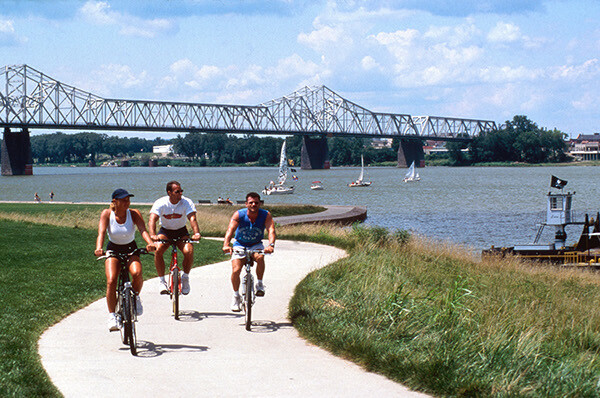 A restored riparian edge transitions to the more informal park with children's play, a grass amphitheater, canoe launch and hill that spirals pedestrians and cyclists up to the repurposed railroad bridge that crosses the river. 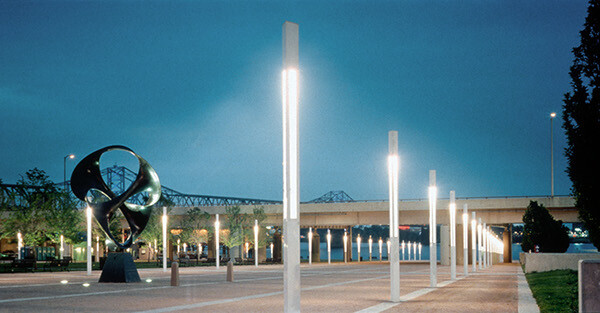 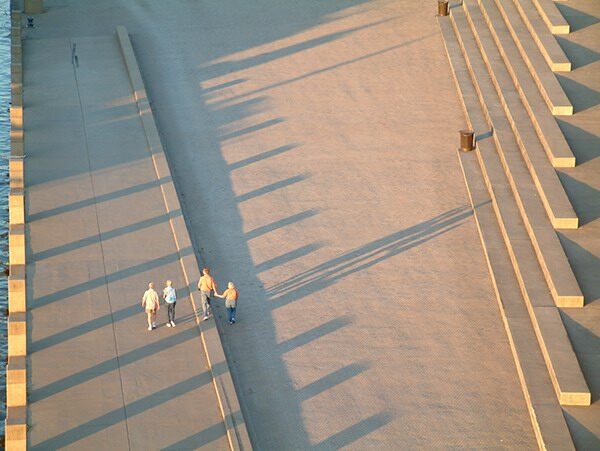 The park represents a rebirth of Louisville’s waterfront and a renaissance of the city’s public life. 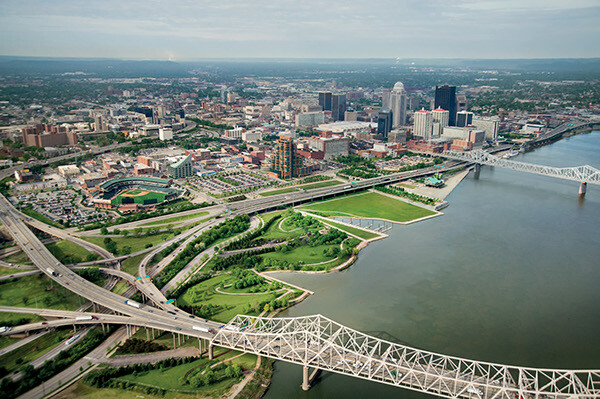 The energy of the early 19th century working waterfront has been recaptured, and the city’s primary focus has been returned to the river. 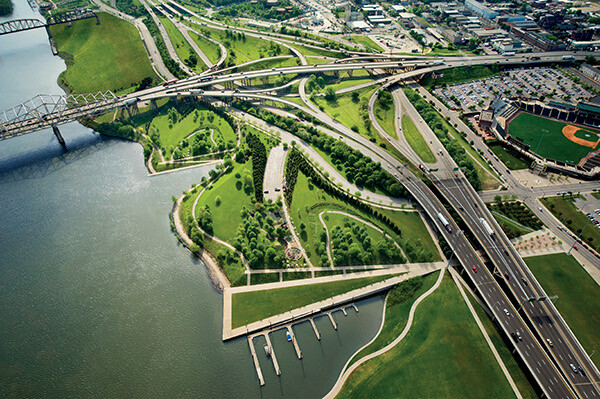 The park has been a catalyst for social and economic change with new infill development including corporate headquarters, a baseball stadium and residential towers overlooking the park, and redevelopment of the adjacent historic district.